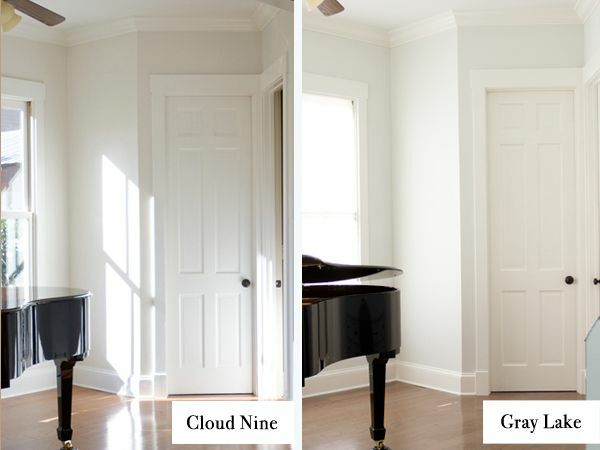 Remember when we painted our sunroom, Cloud Nine? Well, as of today, the room is coated in Gray Lake. Yep. We changed our minds and headed back to True Value to pick out a different shade last week. We chose Gray Lake because it had a little more blue in it, it goes better with the tile we plan to use in the kitchen next door, it coordinated with the secretary better, we liked it better. 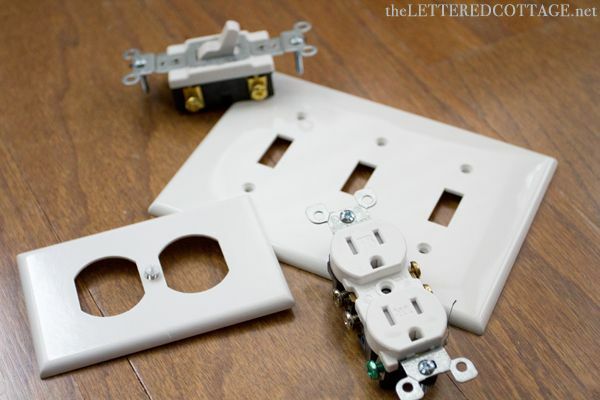 We plan to switch out all the other outlets and switches in the house, room by room, too. I can’t wait to get the inside of my desk painted so that I can pull up a chair and start blogging there, and it’ll be so nice to have that sconce there at night. Next up: window treatments and a new chandelier for above the piano. We’re anticipating their arrival next week thanks to a couple of amazing e-friends, and I look forward to blogging about them when they’re up and workin’! 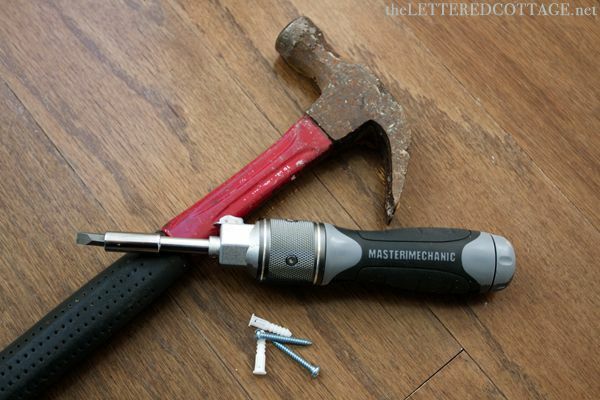 This post is part of our 2012 True Value DIY Blog Squad series. I liked Cloud Nine but I LOVE Gray Lake. Is it from Benjamin Moore? The funny thing is that there is almost no difference between the two photos…and yet there IS a difference. Just enough to make it look a note softer. Lovely, as always! 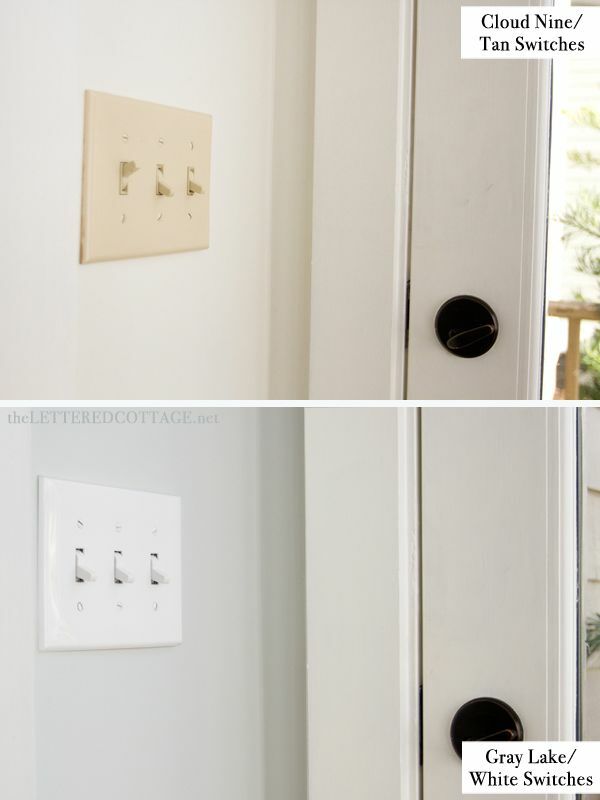 I like both colors of paint, and I definitely think the switches needed replacing with white ones! I just love your little corner with the secretary and sweet light. What a great space to spend time…blogging or dreaming…! We have Gray Lake in our family room! Good choice! What an incredible difference those little bits of white plastic made. Love the new color! Good work Mr. Kev! 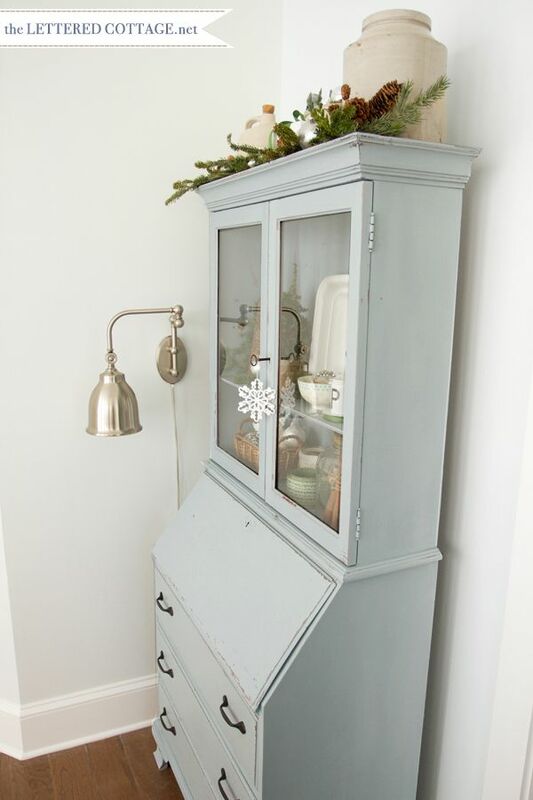 What paint and color is on the cabinet pictured? 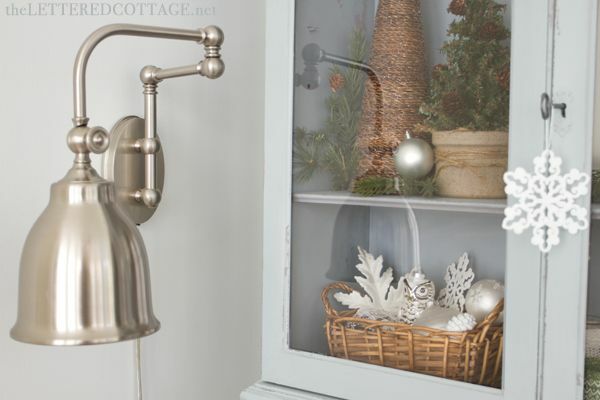 I love the new paint color, and I love, love, love that sconce! I really liked “cloud nine,” until you switched to “gray lake.” I love the new color. The switching-out-electrical-outlets bug must be going around! I bought some on Saturday and switched out 2 of the outlets in my living room after seeing a post on Young House Love. Your place is looking great! I love that I am not the only one who changes their mind about paint colors and then repaints. They both look great, but it’s got to be just right, right? Can’t wait to see more changes! A nice mellow Gray and a ratchet screw driver, two of my favorite things. The room looks great. 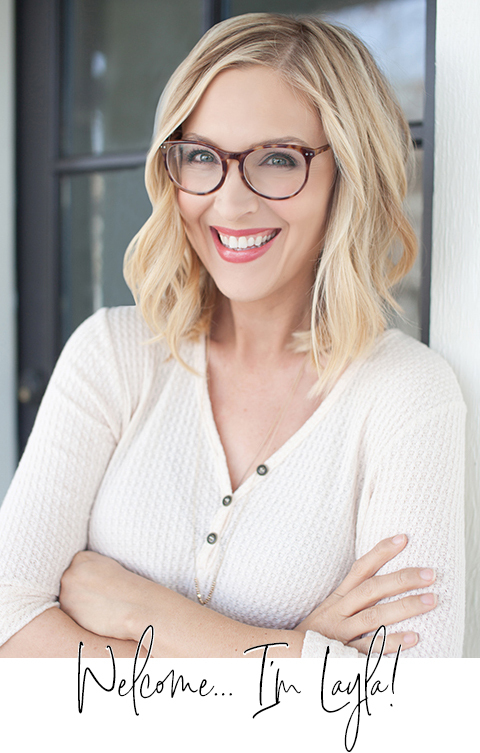 Secretary is GORGEOUS! And I love the subtle changes – thumbs up from this stranger! Oh, yes, love the new paint color. I love the Gray Lake and the secretary. You’ve given me the new color for my entryway!. You guys are going to have a great year, so glad you did the application. I’m an adoptive mom and can’t wait to welcome you to the “club”. the new color looks great with the shutter gray on the secretary! Cloud Nine was pretty but I’m loving the Gray Lake! I love it with the secretary! Ooooh that Grey Lake is fantastic… just a hint of blue. If I ever own a house, a room is definitely going to have to end up in that color! I hope you enjoyed your Cracker Barrel breakfast. Mine was yummy..I love your painted secretary. Gives old pieces a completely new look. I liked the first color, but I am REALLY love the new one. Good choice! I hope you get to cozy up in your new work spot soon. That sconce is killer. Where is it from? Beautiful! Cant wait for more pics! I love it… even if it is a subtle change. Your house is just gorgeous and I can’t wait to see it transform! P.S. I hope you are having fun on your road trip. I am looking forward to hearing Kevin’s song. We are finalizing our homestudy tomorrow for our adoption from Peru. Just wondering what brand of paint Gray Lake is from? It looks GREAT and is just the colour I’ve been looking for. We only have Benjamin Moore where we live. Do you know of any comparisons within the Benjamin Moore pallet? I LOVE your style and how light and bright your homes look! I really love the Gray Lake on your sunroom walls and I’m considering it for my kitchen/dining room. I have a problem though… my kitchen wall ties into several rooms in my house. I have a traditional tri-level home. On the main floor I have a great room with the kitchen, dining and living room sharing walls AND the main kitchen wall also carries through into the front foyer/sitting room (we have high ceilings and the wall that the kitchen/foyer sitting room share stops about three feet before it meets the ceiling). We have our 100 year old upright black piano, and a full size cream couch and an over-sized matching cream chair and ottoman in that room. From both the sitting room and the great room you can see the stairs going up to the bedrooms and down into the den. So, all my colors have to flow effortlessly. To change one space means you must change all the spaces. I’m overwhelmed and would love any advice you have to give. I love the Gray Lake and want to keep a light and airy but warm feel in the whole house. Lots of light is essential for a Pacific Northwest home! What colors would you suggest paring with Gray Lake? (Oh, and we’ll have dark wood floors– Hand-Scraped Manchurian Walnut–and light kitchen cabinets when I’m done). Anyway, ANY advice, paint color suggestions, etc. would be so great! Thanks for sharing your talent with us and letting us get a peek into your amazing adoption experience. I check in every day for updates! gray lake is the colour i’ve been searching for. yes!! i’ve been looking for a greyish paleish bluish (lol yes that’s the way i speak in real life!) for our master bedroom for quite some time now. i am in love with white paint…true story…but i have to agree with my husband when he says white isn’t exactly practical with small kids running around, nor is it practical with our current bedding, which is ALL white! 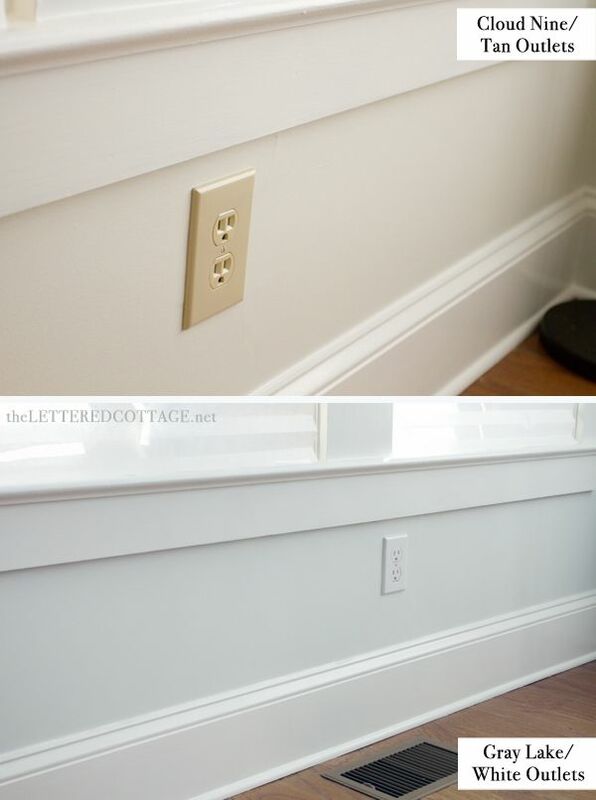 i think i’ll brave the walls and paint this weekend….yikes! Can I ask what colour your trim paint is? Trying to pick one to go with Cloud Nine and am wondering if our chosen Cloud White is too similar!